When she’s not busy learning the tricks of the trade on the shop floor, Halewood apprentice engineer, Gabi MacDonald, spends all her spare time on the back of a saddle competing in some of the nation’s top equestrian competitions. And last month, Gabi, a second-year trainee in the Trim and Final Team, scooped first place in the Bold Heath Horse Trails, at the British Eventing Competition, in Cheshire. Her fantastic win was even featured in the leading equestrian magazine, Horse and Hound. Gabi, who has been riding since the age of 13, is hot to trot for her upcoming competitions which include the National Championships in September and the North West Championships, which take place in Accrington, in October. 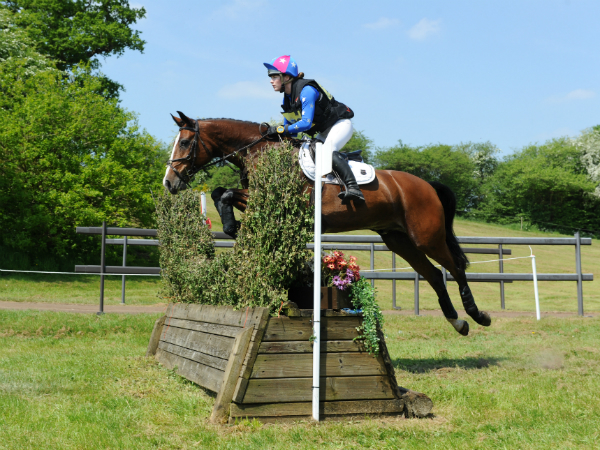 Her dream is to take part in the prestigious Mitsubishi Motors Cup and the Burghley Horse Trails, which is sponsored by JLR. Gabi told us: “I work four, twelve hour shifts a week and often weekends. If I’m not on the shop floor, I’m at the stables- so it’s all go! “My days off are spent competing at events, training, or riding my horse, Laurence, along the beach in Formby where I live. “It can be challenging combining event training with shift work, so I have to be really disciplined and ‘reign’ in my other hobbies during competition times.